A wide range of general and specific training, including the parenting approach and PACE, are offered on a regular basis by DDP Trainers, Consultants and Practitioners. Training is offered as half-day event, one, two-day or in a series of events, or as a Conference. Training in DDP is relevant for therapists, social workers, educationalists, adoptive and foster parents and residential caregivers. Guidance about Commissioning UK DDP Training is currently available below. In order to apply to become a certified Practitioner in DDP the 56-hour DDP Core Training found below, approved by the DDPI, needs to be completed. Attending a Level One training does not enable participants to advertise or say that they practise DDP or that their work is DDP-informed. Individuals who have attended a Level Two training AND who have regular supervision from a certified DDP Consultant or an experienced certified DDP Practitioner can say their work is “DDP-informed”. They are not able to say they provide DDP. To find training events relevant to you and your practice, including the 56-hour Core Training, please search all events closest to you. This training is suitable for professionals who have experience in working with children and families, or parents or caregivers, whose children have experienced developmental trauma and show attachment and relationship difficulties with their primary caregivers. This could be with adoptive parents, foster parents, kinship carers, or caregivers, such as in residential homes. A 6-month gap is recommended between attending Level One and Level Two in order to have time to develop the skills that are taught. Exceptions can be made, for example for experienced individuals who travel to another country to receive the training or if trainers infrequently travel to another country. The DDP Core Training approved by DDPI is face-to-face and can be provided in a range of ways. Each 28- hour Level One (Introductory) and 28-hour Level Two (Advanced) training can be provided over 4 consecutive days, in 2 sets of 2 days, in 4 separate days or using a combination of these. DDP Core Training provided by Skype, or similar internet programmes, is not recognised by the Board. To become a Certified DDP Practitioner, an individual first needs to complete the 56-hour DDP Core Training given by a DDPI Board approved Trainer. Individuals from a wide range of professions also attend this training who do not plan to later become certified. They come to learn more about this trauma-attachment approach and how to apply it to their work with children and families. Many social workers attend these trainings for this reason. 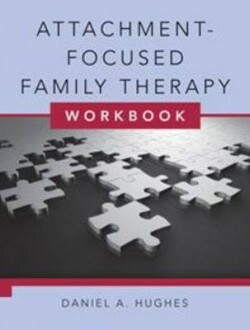 Attachment-Focused Family Therapy Workbook, Daniel Hughes (2011) New York: W.W.Norton. The following resource provides current guidance to those seeking to commission Dyadic Developmental Practice training in the UK. 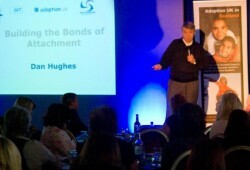 Kim Golding co-ordinates the commissioning of all UK DDP Level One and Level Two training. Please read the document before you contact Kim on kimsgolding@btinternet.com. For those not in the UK we advise them to contact a DDP Trainer directly. Some training events will specifically focus on the parenting approach and Parenting with PACE, also called Dyadic Developmental Parenting. If there are no local training events, the resource below will help professionals learn about the parenting approach and offer ideas about how to run parenting groups.